A shell over existing building management systems that provides energy forecasting and reduces energy consumption (10% - 40%) in buildings, while also improving comfort. 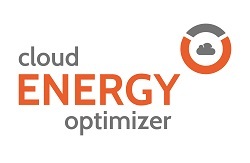 The Cloud Energy Optimizer predicts the energy demand in a building and deploys various energy resources as efficiently as possible. The CEO is a cloud based add-on to BEMS which, based on the weather forecast, predicts the energy needs of the building (zones). This leads to energy savings and cost reduction and improved indoor comfort. Applicable for existing buildings. All energy resources are gathered in the technical area: heat pumps, solar collectors, heat exchangers and boilers. They are controlled by a building management system. The CEO uses an intelligent self-learning algorithm as an add-on to the BEMS to predict the energy demand of a building 24 hours in advance, based on the weather forecast among other factors. This continuously ensures the optimal distribution of sustainable energy. Extending the lifespan of technical installations. Instant and significant energy and cost reduction by 10% to 40%. Use of the most sustainable and/or cheapest energy available.